Being from Texas, our lead designer Shireen was beyond happy to see that the western style was a trend embraced by top designers for Spring 2017. 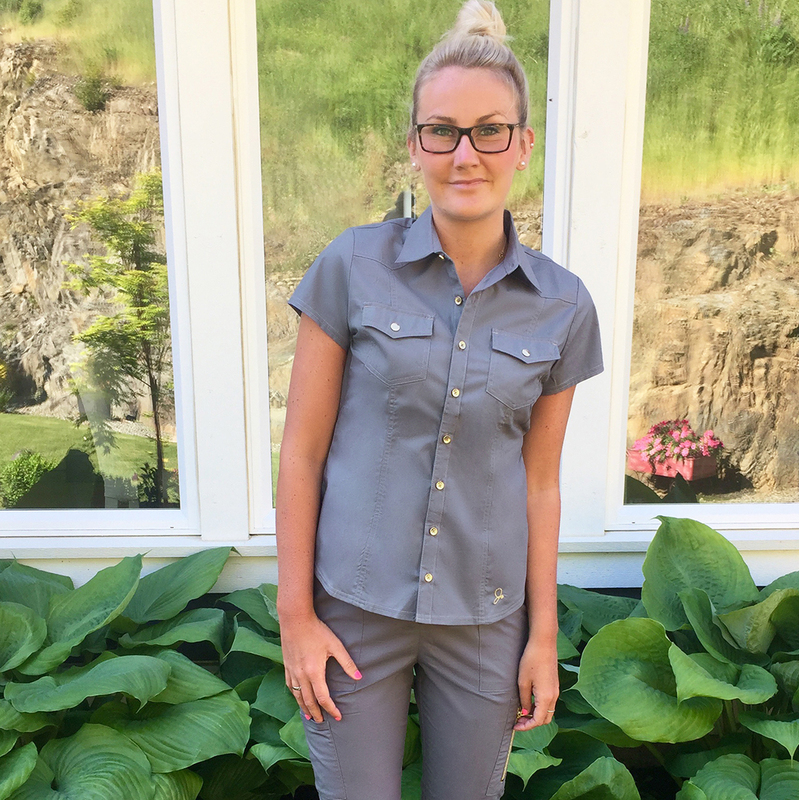 She grew up around western designs and influences, so incorporating some of those traditional details in a contemporary scrub top came naturally. Take a look at some of our favorite outfits featuring the Western Top, and let us know how you like to style it. 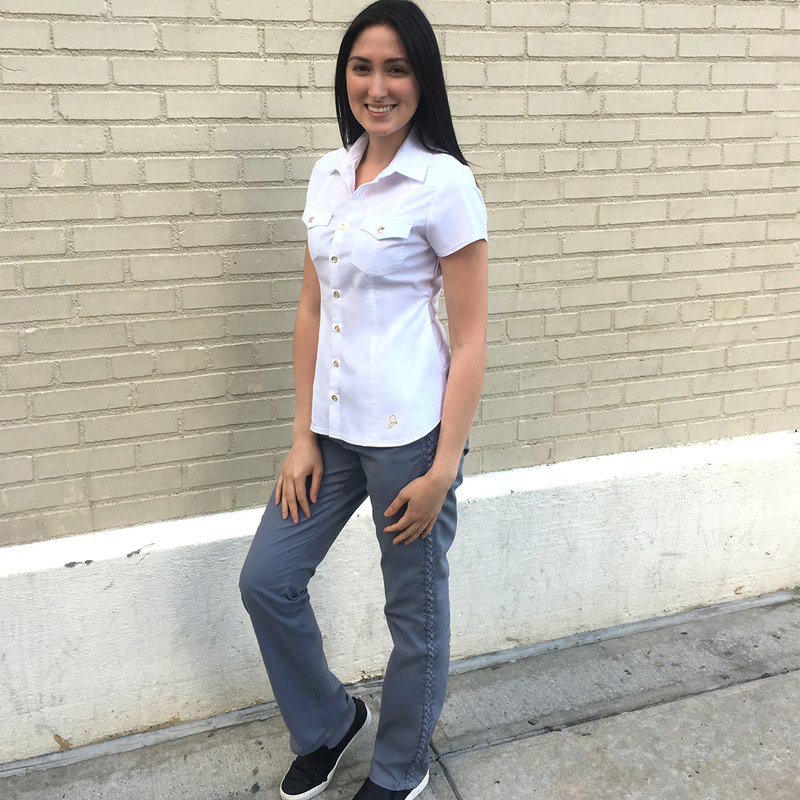 Dental student @janjime_ pairs the top with the Braided Pant to bring a bit of western style to the streets of NYC. Add tasteful pops of gold to your professional look by pairing the top with the Skinny Cargo Pant. 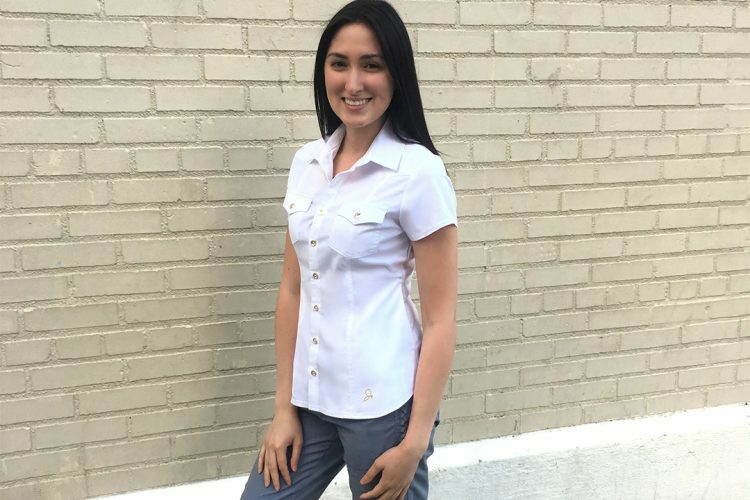 @blueowldesigns pairs the top with a pair of well-tailored High-Waisted Pants for a beautiful, sleek look.